Flip a coin. 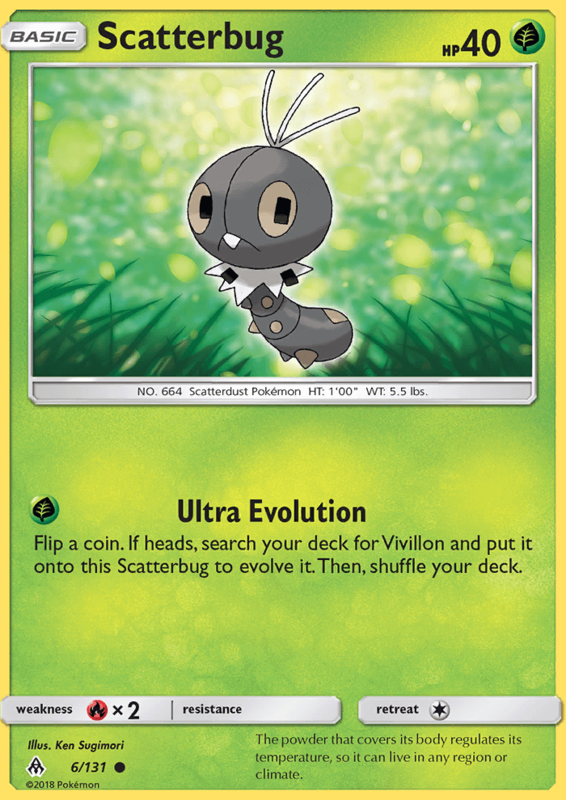 If heads, search your deck for Vivillon and put it onto this Scatterbug to evolve it. Then, shuffle your deck. The powder that covers its body regulates its temperature, so it can live in any region or climate.